Selective service is the term used to define the service rendered by a person in the armed forces when he enlists to it under conscription or compulsory enlistment. This usually occurs when there is a dire need of man force in the armed forces but a shortage of people enlisting their services. This Service Forms are used by the authorities to help the enlistees in various circumstances. As the name indicates, this military draft registration form is used to register a person for selective service in armed forces. He is required to provide all his personal details in the form. A person needs to get himself verified before getting enrolled for selective service. This form helps the authority to collect all the information about the person that would be required for verification. 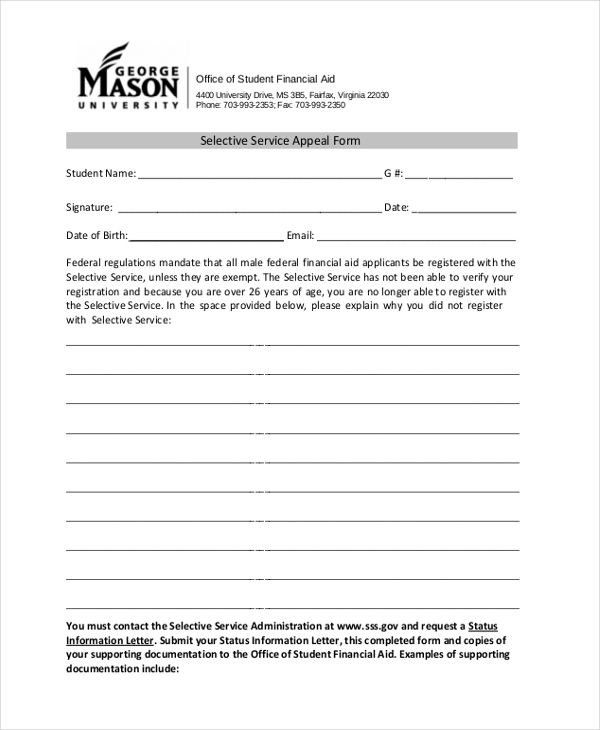 A person who may want to get himself exempted from selective service is required to fill in this form with his details as well as the reasons due to which he requires an exemption. 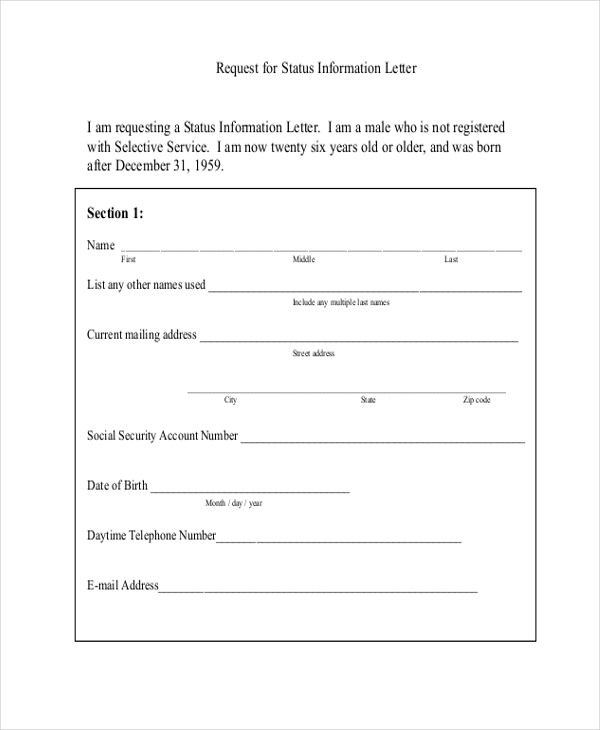 This form is filled in by an individual who may be interested in selective service but may not have been enlisted. By filling this form he can apply for an enlistment to the armed forces. 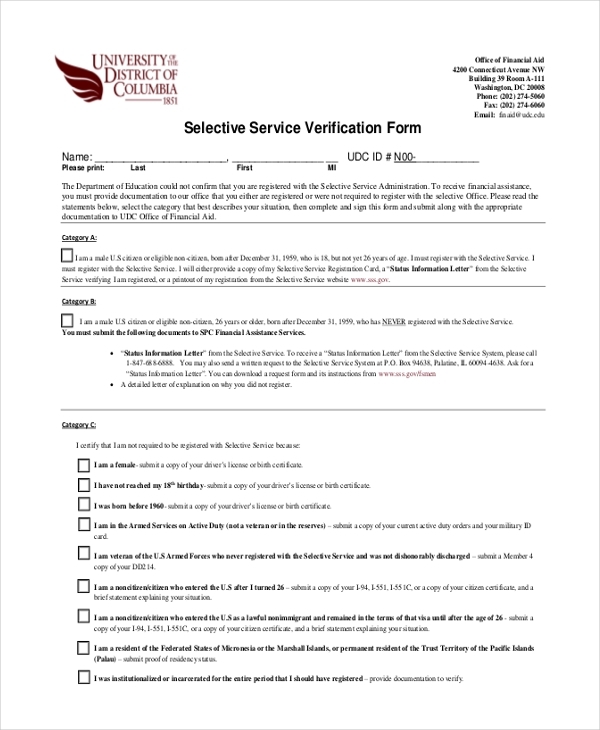 A person who may have got conscription for selective service but is unable to attend it, they can use this form to gain a clearance from the authority concerned. He has to give clear reasons about why he needs clearance from the service. 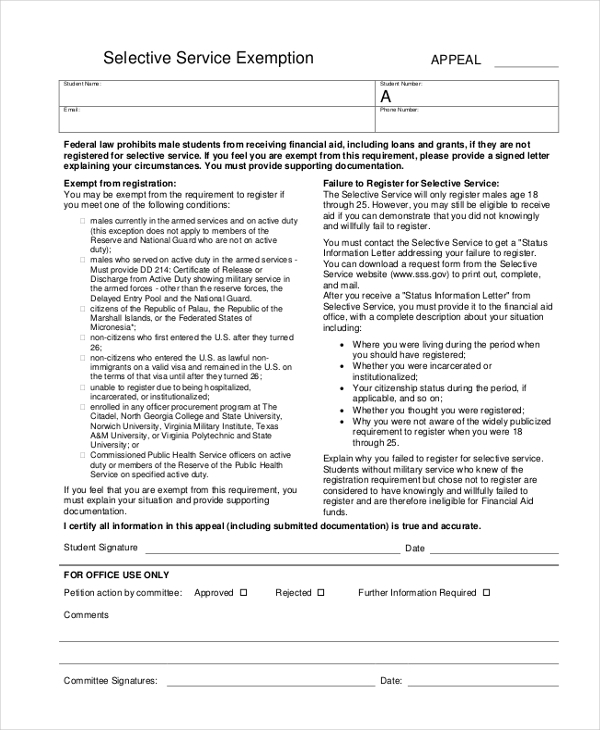 This form can be used by a person who wishes to appeal the government to exempt him from the selective services. He would have to cite valid reasons and present proof to make the appeal more promising. 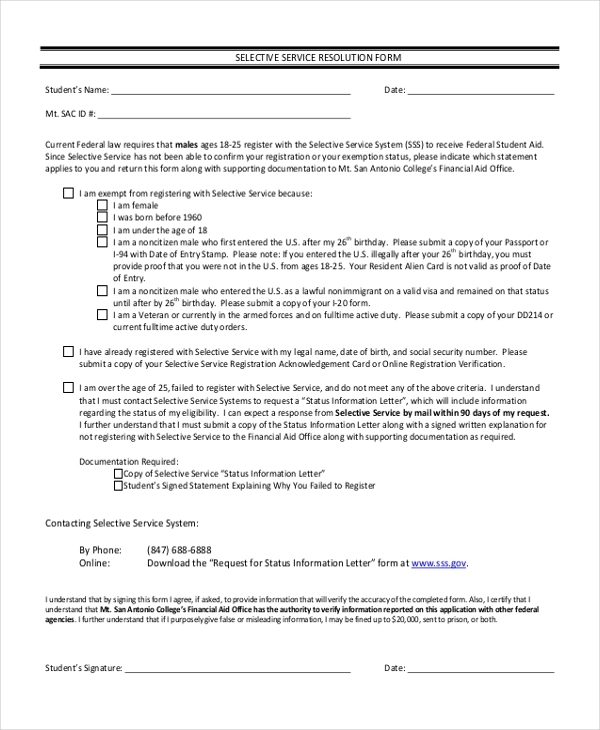 This form is used by the government authority responsible for selective service to inform the enlistees about the regulations that they need to comply to and the repercussions. 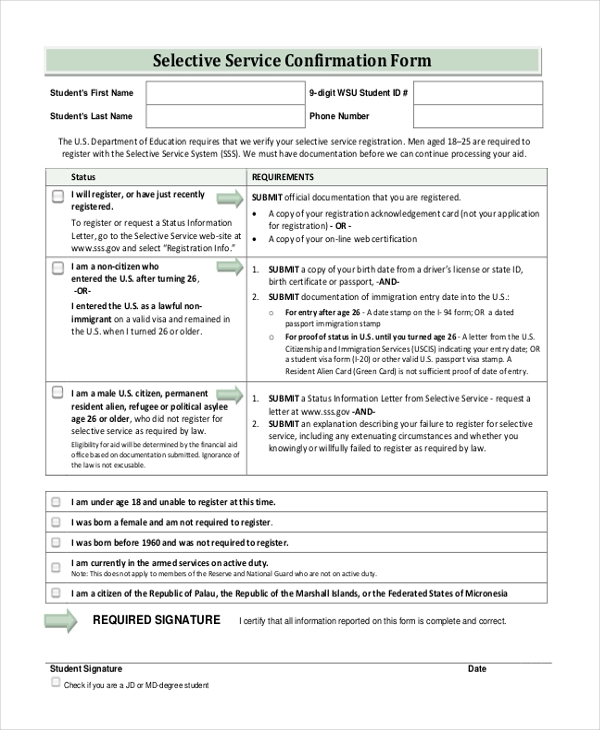 The enlistees are required to read the form and sign it. This form is used by the authority concerned to ensure that all the citizens who are eligible for enlistment have been included in the list and keep track of people who have not enlisted or have been exempted. A person who may have worked in selective services can avail the special provisions made available by the government by filling in this affidavit and submitting it to the authority concerned. 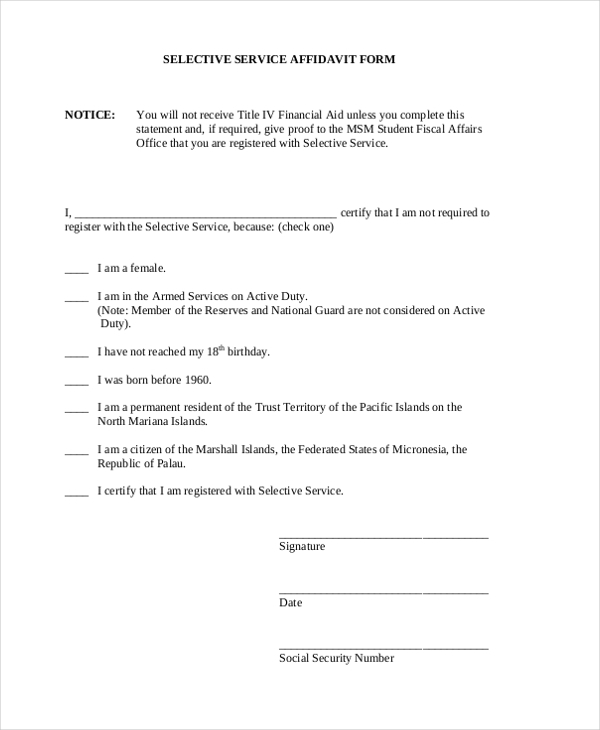 A person who may have enlisted for the selective services can use this form to submit a confirmation with certain agencies that make him eligible for certain provisions and concessions. What are the Benefits of Using Selective Service Forms? 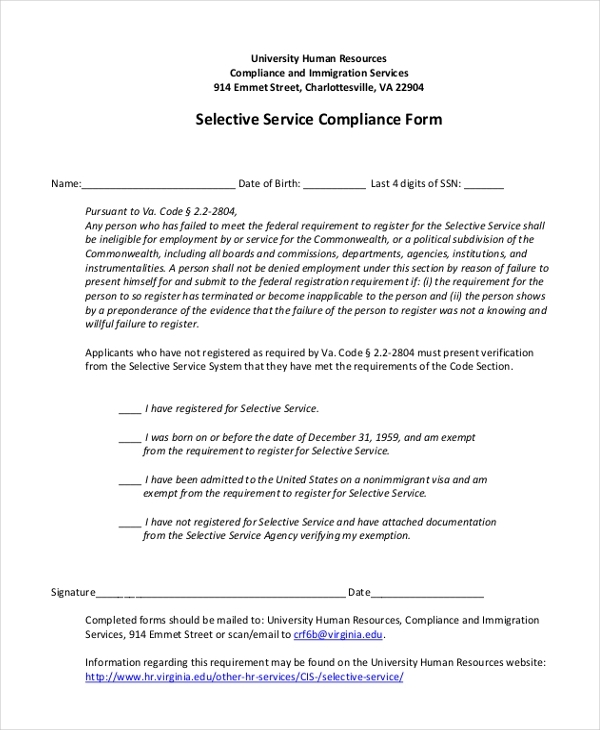 Why we Use Selective Service Forms? 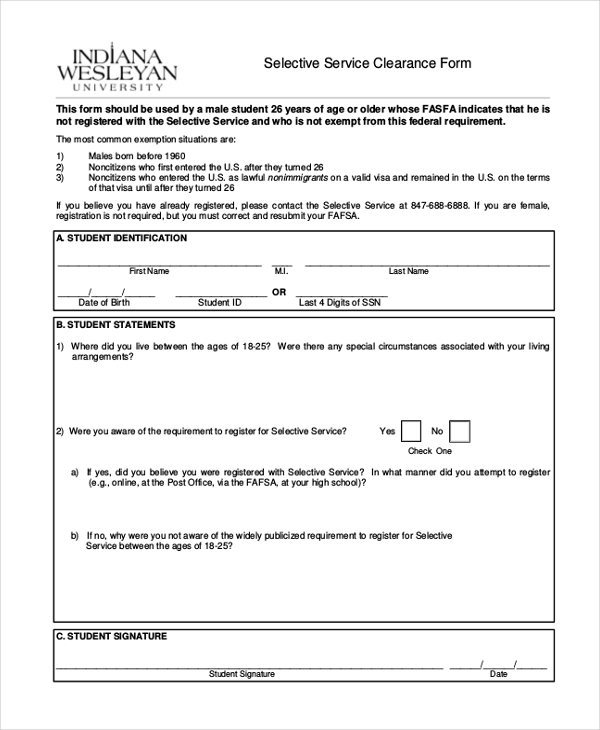 Not sure how to design selective service forms? Don’t worry. 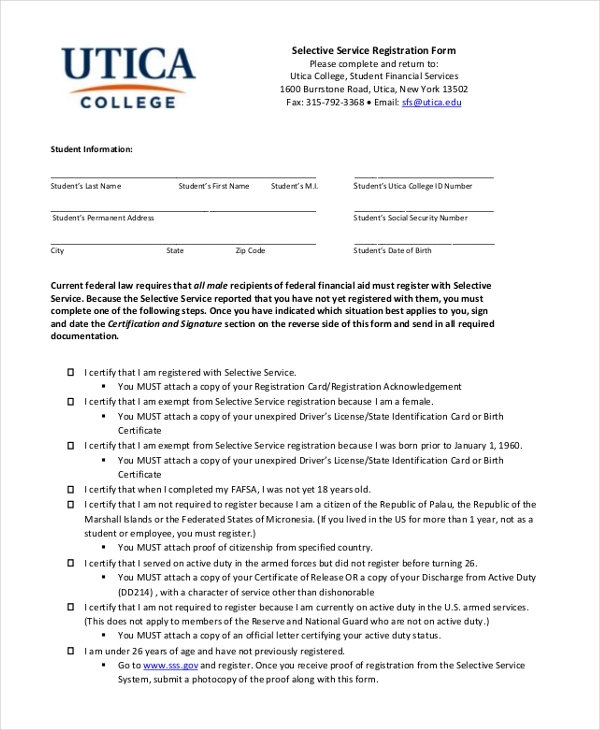 We have a wide range of these forms that you can easily download to your computer. The best part is that these forms can be quickly customized as per your need and thus save you a lot of time and effort.